‘High Intensity: Training Benefits’ written by Kusal Goonewardena and published in Great Health Guide (November 2017). HIIT (High Intensity Interval Training) is a very popular exercise program as it appeals to many people of different fitness levels. However, it is not to be confused with HIT (High Intensity Training). What is the main difference between HIIT and HIT? HIT includes all the training intensity of HIIT but without the period of recovery in between thus it is a lot more physically demanding on your body. Physiotherapist Kusal Goonewardena discusses the positives benefits of HIT especially for busy people. Positive health benefits from High Intensity Training (HIT) continue to be discovered. The main difference between High Intensity Training (HIT) and High Intensity Interval Training (HIIT) is that HIIT workouts are high intensity exercise such as an all-out sprint followed by a period of recovery. If you do not allow your heart rate to recover, your HIIT workout becomes a HIT workout. Why HIT exercise regime is so compelling? High intensity training benefits people of any fitness level. The only requirement is lifting the intensity of your exercise to 85% of your capacity during an exercise. It has nothing to do with aiming for ‘personal bests’ or other measurements, just reaching 85% intensity. Any exercise is fine – running, cycling, swimming, skipping, or rowing. Because it’s 85% of your own capacity, you can never outgrow it and you can never be too unfit to participate. As your fitness improves your performance will improve, but getting to 85% will always be a challenge which rewards your body. 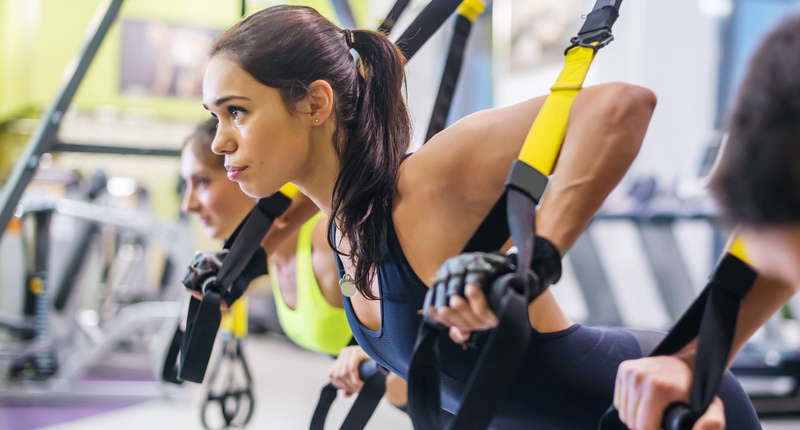 High intensity training is ideal for women who are busy with family, careers, study and life generally, because it only requires a few minutes at one time. High intensity training is the perfect complement to other low and mid-intensity exercise. Regarding frequency, just three to five times a week, has been shown to make a difference. A landmark study by the Norwegian University of Science and Technology found positive results from four minutes of vigorous exercise three times a week. Participants in these studies showed a 50% improvement in their aerobic capacities after 12 weeks. Other benefits include increased stamina and reduced chances of heart disease, hypertension and diabetes. The only caveat is that anyone with a heart condition or health issues, needs to be cleared by a doctor. While only a short amount of time is required to reach 85% capacity, this indicates that you are just a step below going flat out which means, the HIT exercise regime is not easy. We, at Elite Akademy were stunned by a recent study published in the Journal of Applied Physiology about a 105-year-old French amateur cyclist, Robert Marchand, who boosted his fitness after incorporating high intensity training. This is a bombshell because boosting aerobic fitness after middle age has always been thought difficult, if not impossible. There’s no doubt Mr Marchand is an outlier with extraordinary genetics. Reports say he has avoided any major physical ailments to date and does not require any medications. He has a good diet and a positive outlook. While doing some physical work throughout his life, he wasn’t big on exercising until retirement, when he started cycling regularly. High intensity exercise: what is the effect on VO2 max? The study was engineered by a professor in exercise science, Veronique Billat, at the University of Evry-Val d’Essonne in France, who found older athletes could increase their VO2 max if they exercised intensely. (VO2 max refers to the maximum rate of oxygen consumption measured during incremental exercise). Professor Billat had never tested a centenarian before. After testing for general fitness, professor Billat developed a program which required the 105-year-old to train at a leisurely level for 80 per cent of his training. ‘Leisurely’ is defined as the equivalent to 12 or less on a scale of one to 20, where 20 is unbearable levels of exertion. But for the remaining 20 per cent, the cyclist was required to increase the intensity to a ‘difficult’ level, which is described as equal to 15 or above out of 20, to significantly raise the heart rate. After two years under this program, tests showed that Mr Marchand had a VO2 max that was 13 per cent higher than it had been two years before. It was equivalent to that of a healthy 50-year-old. This was proof that his fitness improved in his 100s. This inspirational story shows high intensity training has no shelf-life. Whether you’re 30, 50 or 70, juggling careers and family, semi-retired, a fitness fanatic or reluctant exerciser, those few minutes, a few times a week, can be powerful for long-term health. 1. Boosting aerobic fitness after middle age is possible. 2. It’s difficult to find a more powerful example of high intensity training than the 105-year-old who is becoming fitter! 3. High intensity training can benefit anyone. 4. It is great for those who are juggling many commitments and struggle to find the time.